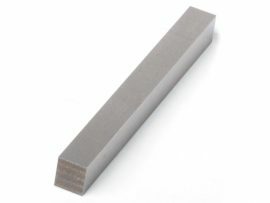 Many times a machinist is required to machine features into a part that are located in a radial pattern instead of linearly. Examples of such features are the flats on a nut, the teeth on a gear or the splines on a shaft. 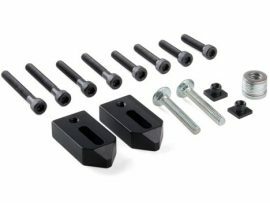 The Sherline indexing attachment is a unique design that provides a very economical means of accurately rotating a part so that these kinds of features can be machined. 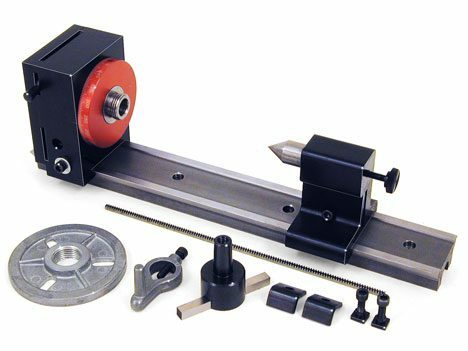 The indexing head utilizes a spindle with a #1 Morse taper and a 3/4-16 male thread identical to the spindles on the Sherline lathe and milling machines. This enables the use of all the Sherline accessories such as the faceplate, 3- and 4-jaw chucks, Drill Chuck, and centers with the indexer. A built-in mechanism detents the spindle every 5°, and there is also a red laser engraved collar that indicates rotation in 1° increments. 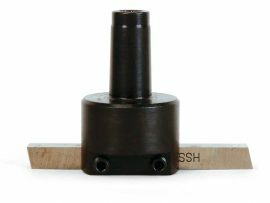 The rack gear mentioned previously provides a means of accurately positioning the spindle where positioning in other than 5° increments is required. The gear inserts into the indexing head and engages an index gear. This transfers the rotary motion of the spindle into linear motion that can be measured with the depth rod of a Vernier caliper. Simple calculations then permit accurate indexing to an infinite number of positions. The indexing attachment can be attached directly to the table of the Sherline milling machine, or the indexing head can be used by itself in a horizontal position similar to a rotary table. The indexing attachment is not recommended for use on the Sherline lathe with the vertical milling column; however, with the use of shims to elevate the unit high enough to clear the crosslide handwheel, it can be done.